SUNNYVALE, CA – October 6, 2015 – Ruckus Wireless, Inc. (NYSE: RKUS) today announced Ruckus UnleashedTM access points, based on a new controller-less Wi-Fi architecture that reduces ownership costs and delivers up to 50 percent higher Wi-Fi performance1 for small business environments. Separate controllers and access point licenses are no longer needed, significantly reducing upfront costs. Set-up is also easy, thanks to a simplified web interface that helps businesses configure Wi-Fi in just 60 seconds. Ruckus Unleashed is shipping now. For retail and hospitality environments, Ruckus Unleashed access points deliver fast and reliable broadband Wi-Fi to engage visitors via their mobile devices and ensure easy guest access. An easy-to-use self-service interface provides business owners with insight on Wi-Fi usage, so they can easily optimize the Wi-Fi experience of employees and visitors without the need for dedicated IT staff. As needs grow, the business can easily plug and play more Wi-Fi access points – boosting performance without needing to re-configure the network. Unleashed access points have built-in controller capabilities similar to Ruckus’ ZoneDirectorTM controller software, including user access controls, guest networking functions, advanced Wi-Fi security and traffic management. 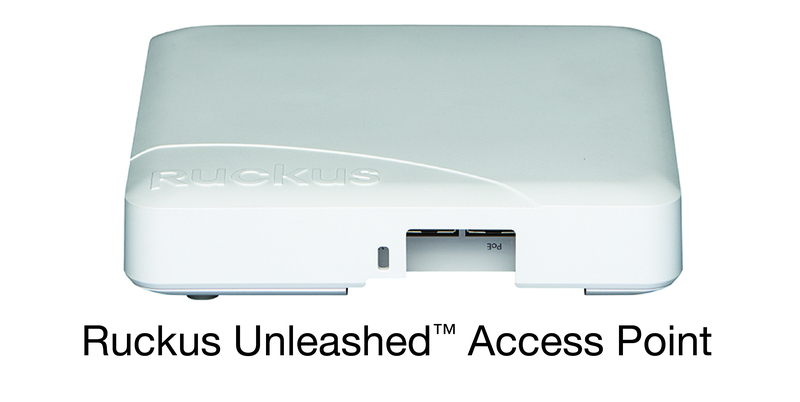 Ruckus Unleashed access points can manage up to 25 access points as part of a single-site network. As businesses grow to multiple sites, Ruckus offers an easy migration path to controller-based Wi-Fi, using the same Wi-Fi access points.